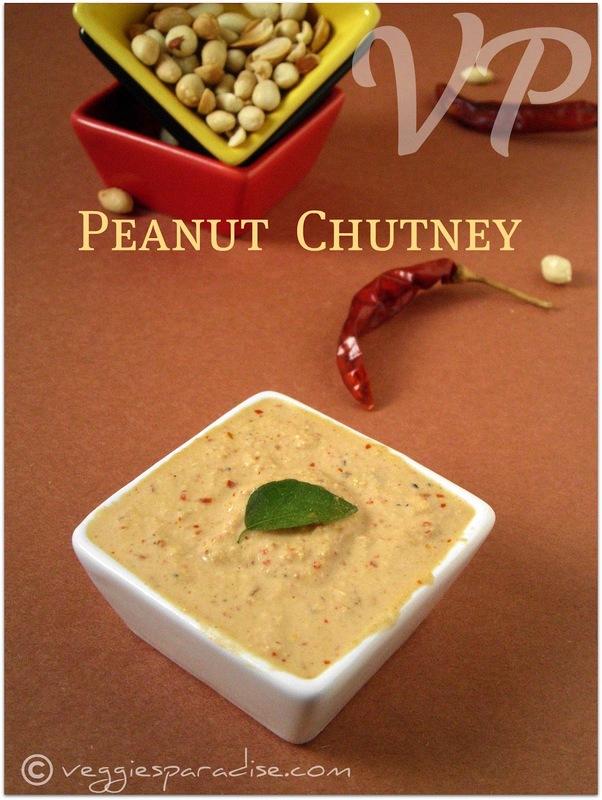 Peanut Chutney - A simple and tasty chutney with peanut and coconut. This goes very well with Idli's and crispy Dosa's. Heat a griddle and roast the peanuts until golden brown. Allow to cook completely and remove the skin. Combine with tamarind,coconut and salt in a blender and add sufficient water to whizz into a thick, smooth paste. Seasoning is not needed for this chutney, if you need then heat oil in a small pan, fry mustard seeds, until they pop, add urad dal along with curry leaves ,fry for a min. and pour into the chutney. You can also use microwave for roasting the peanut. In a microwave safe bowl , add the peanuts and microwave for 4 - 5 mins. one of the very tasty chutneys :).. looks yum! Very tasty and yummy chuyney. 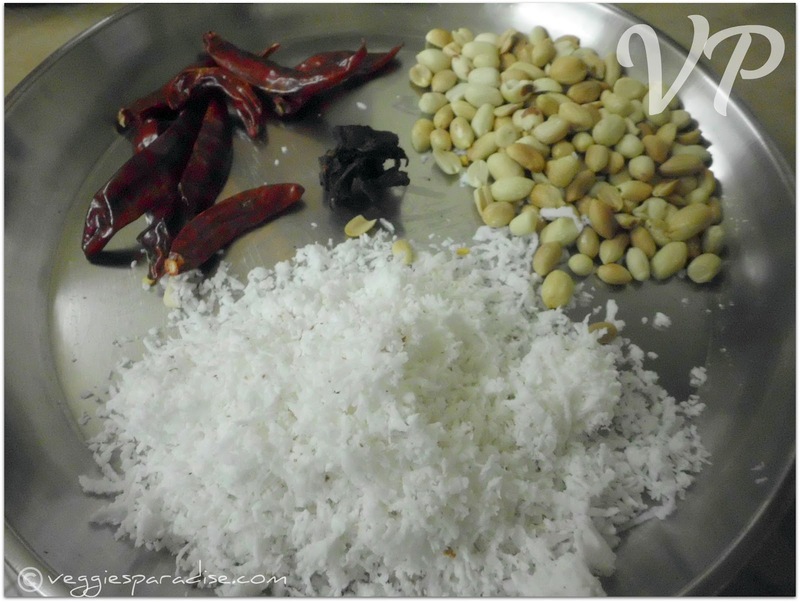 Perfect for idli or dosa. Favourite ... I like it without coconut but my mom always prefer with coconut.. I wanted to try this chutney for a long time. must try soon ! I can two more idlis with this chutney,one of my fav chutney. My hubby loves this chutney. Was looking for this recipe for a long time. i love this chutney...goes really well with dosas. My mom makes it quite often back home, thanks for sharing such a flavorful chutney aruna. 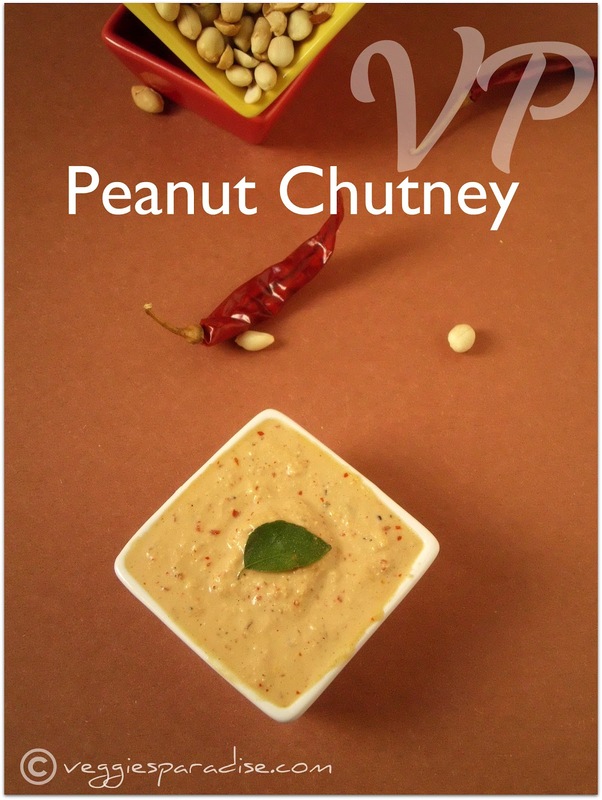 Tasty and super chutney with delicious flavors !!! Wonderful Chutney, I usually mix Curd instead of water... Love the clicks , with peanuts rolling over from behind..
Yummy yum, looks awesome. 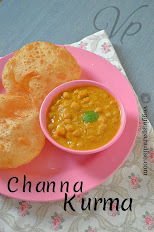 Love them with Pesarattu :-) Beautiful clicks n well presented..
Peanut chutney looks delicious Love to have with dosa. Nice. But I make it to avoid using coconut because it seems I use coconut in everything!! This I am sure was tasty. 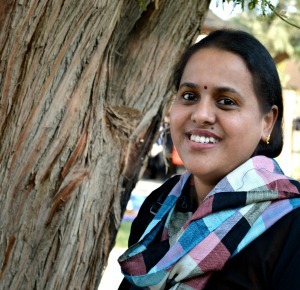 yummy ,healthy and delicious chutney..lovely clicks.. The chutney looks yummy. Love the presentation too. Nice chutney,I don't add coconut with peanut.Will try your version soon! This chutney makes a good sandwich spread too. Looks yumm. Looks very very delicious dear. One of my favorite chutneys..